This year CISOR Congress was in Santahamina, in the National Defence University of Finland. 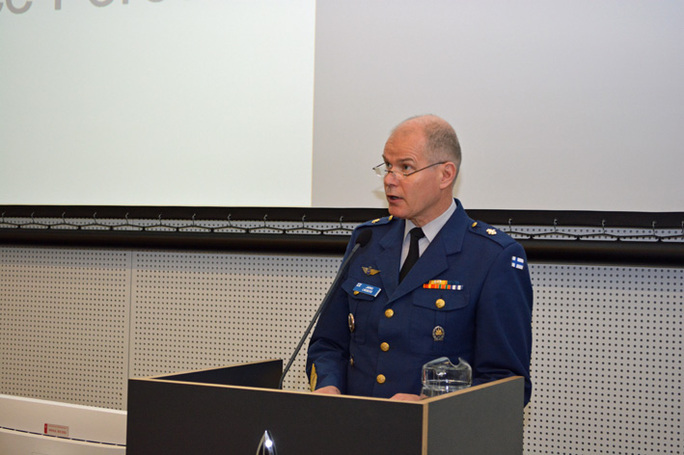 The theme for the congress was "Finnish Defence System". Finnish Reservists' Association host CISOR Presidency in the years 2016 - 2018. The opening congress arranged in Santahamina October 15th. There were present President of the Republic Sauli Niinistö and the Defence Forces Commander, General Jarmo Lindberg. 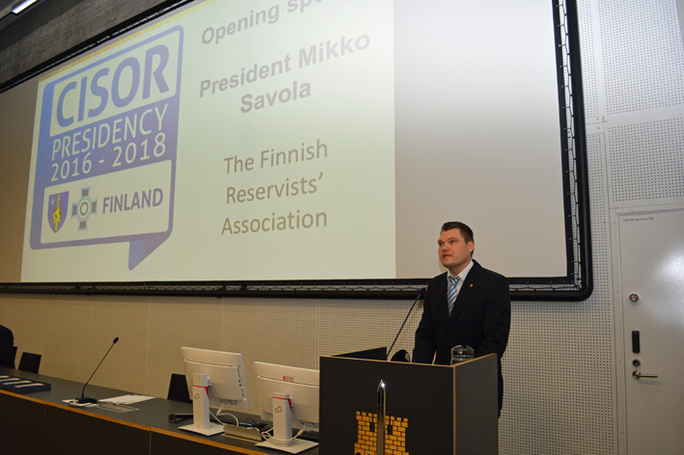 The national President of Finnish Reservists' Association Mikko Savola was opening the congress. Finland's defense solution congress was organized in cooperation with the National Defence University, which was held in the auditorium of it. The event attracted a couple of hundred listeners. Finland's defense solution congress was built to an exceptionally high level program. The peak of the event was the speech of Sauli Niinistö, President of the Republic of Finland. Sauli Niinistö praised in his speech Finnish Reservists' Association but at the same time expressed his concern about the world's trouble spots. Also the Commander of the Defence Forces, General Jarmo Lindberg spoke in the congress. The National Defence University premises had accumulated an exceptionally broad and high-level group of invited guests, which included dozens of CISOR memeber organizations representatives from all over Europe.